Saturday 25 October 2014 and back on the train followed by Coasthopper bus to north Norfolk. Arrived at Holkham at 11am and headed for Holkham Bay. The drake Surf Scoter present at distance with a couple of Velvet Scoters for company. Single Common Scoter nearby plus Auks and RT Divers. A lone Snow Bunting flew over west calling. I walked west as well and inland to Burnham Overy Staithe. Over the marshes were several Buzzards, Marsh Harriers, Kestrels and an imm. 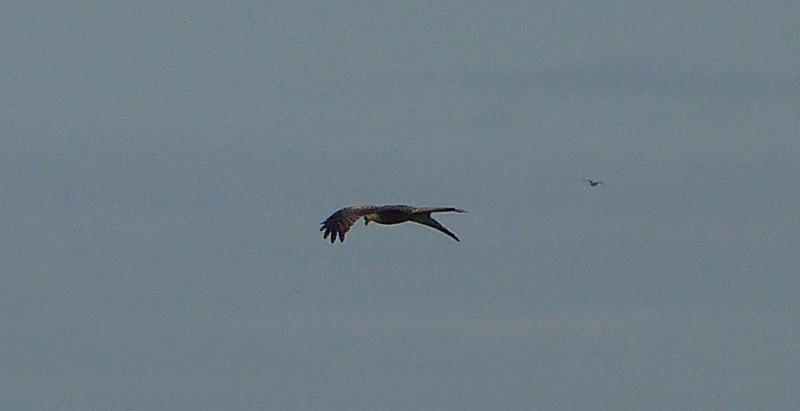 Red Kite made an appearance. Pink-footed and Brent Geese flocked. 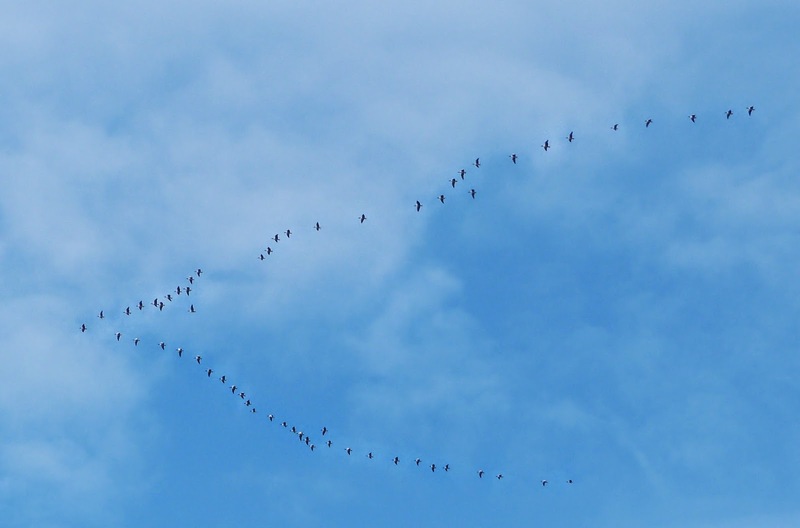 Coasthopper to RSPB Titchwell. Wigeon and Teal dominated the freshmarsh and there were lots of Ruff there as well alongside roosting Golden Plovers as well as Dunlin, Black-tailed Godwit and 4 remaining Avocets. The sea was quiet but the shoreline held a variety of waders inc. Bar-tailed Godwit and Grey Plover. Noticed in the log book a flier for Richard Crossley's book signing (of The Crossley ID Guides fame) on Sunday 26 October at the reserve. Well worth taking in if you are in the area.